Where are future breakfasts going to be held? All future breakfasts until the Sun turns into a red giant shall be held in Easy As Pie. Complaints about this should be forwarded, in writing, to dev-null@ackornack.com where we personally guarantee that they will be appropriately handled. 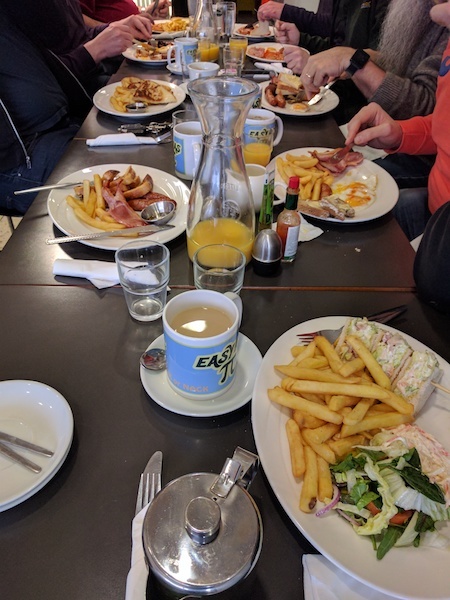 In order to bring the site up to date with Web 2.0 technology (or Web 3.14159 as we like to think of it) - here are some pictures of breakfast, so you know what to expect.